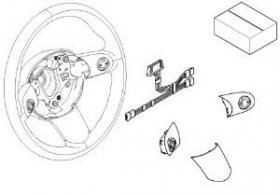 If you have a 3-spoke steering wheel, this is the ideal conversion kit. It includes everything is necessary. For all MINI models after 07/04.